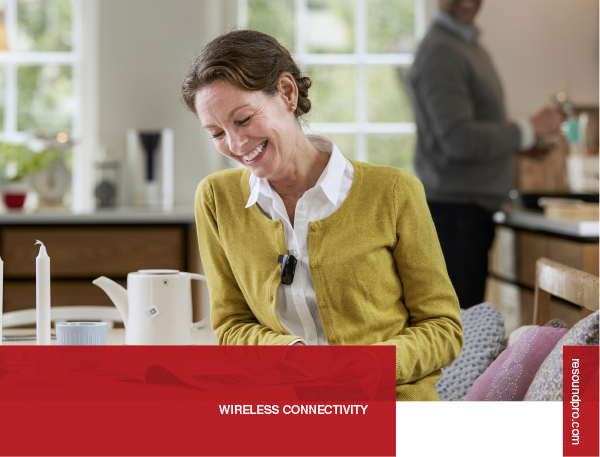 ​ReSound is excited to announce that it’s current range of wireless accessories which includes the ReSound Phone Clip+, Remote Control 2 and TV Streamer 2, has expanded to include two new accessories, the Micro Mic and Multi Mic. ReSound’s new Micro Mic and Multi Mic are discreet, clip-on microphones that increase signal-to-noise ratio so your clients can understand speech in challenging listening environments. ReSound Micro Mic significantly improves signal-to-noise ratio in noisy situations. It delivers exceptional speech understanding and can extend your clients hearing by up to 25 metres in clear line of sight. ReSound Multi Mic Like the Micro Mic, Multi Mic also has the 25 metre range extension along with the ability to double as a table microphone. It has a mini-jack input for streaming audio from a computer or music player and can also connect with loop and FM systems**. For more information on ReSound Wireless Accessories, feel free to contact your local Area Manager. As always, our friendly Customer Service, Technical Support and Marketing teams are also available to provide support where required.